For many of us who experience the phenomenon of fashion’s upper echelon through glossy publications and the web-pages of the media juggernauts; it is possible to subconsciously solely see fashion as an entity exuding glamour, exquisite garments and close-to-perfect models in editorials and campaigns. It may very well be all of the above. but the level of skill and a couple of ‘Hail Mary’s’ it takes to not only bring to life and sustain such mastery (both behind and in front of the view-finder) goes without saying. Creating, growing and sustaining a fashion label is a grueling endeavor that requires precision, strong business acumen, grit and an exceptionally talented and efficient team. To possess only design and creative skills is not nearly enough to create a thriving business. Almost every other day we read of the many stumbling blocks that celebrated and up-and-coming labels continue to face. Young designers are met with countless challenges that can be the demise of their label - regardless of potential, talent and craftsmanship. Factors such as a lack of resources, funding and business skills are common hurdles that can threaten prospective brands. As a result of globalization and the undeniable level of artistry that permeates the continent, we are beginning to see a rise in African designers making strides. These designers are occupying spots on international fashion week calendars, opening curated pop ups in and around fashion capitals and having their lookbooks featured by the messengers of cool such as i-D, Hypebeast, Dazed Digital and Highsnobiety. The world has and continues to look to Africa as a creative source. Although this kind of exposure has been proven to be beneficial for local brands, fashion still remains an emerging market with limited resources and support allocated to designers. They face obstacles such as lack of fabrics, defected supply chain and distribution networks, lack of skills development as well as internet infrastructure. Nonetheless, the outpouring of talent and craftsmanship that exists on this continent does not go unnoticed. Initiatives like The LVMH Prize are vital in championing young designers for the overall advancement of the fashion landscape. The competition acts as a springboard for emerging young designers - giving them the kickstart they need to build not only a revered label, but a lucrative and sustainable one. The LVMH Prize, spearheaded by Delphine Arnault, (Director and Executive Vice President of Louis Vuitton and the daughter of Bernard Arnault, Chairman and CEO of LVMH) was put in place to “honor and support young fashion designer’s around the world.” This annual young fashion designer prize includes a €300,000 grant along with a year of mentorship. The winners receive personalized creative and technical support such as intellectual property, production and distribution, advertising and marketing and so on. To qualify, designers need to be under the age of forty and have produced and sold at least two collections. The initiative also provides an opportunity for scholars in the form of a Graduate Prize which is open to students of fashion schools whilst in the process of completing their degree. The three winners, along with their respective institution receive €10,000 and a yearlong internship as part of the design team at one of many LVMH prestigious brands within their conglomerate. The prize continues to cast a bright light on young designers who have now been propelled to higher heights within their career and are currently trailblazing the fashion design scene and making strides in the industry. LVMH Prize winners like Simon Porte Jacquemus, Grace Wales Bonner and Marine Serre have cemented their places in the fashion industry and continue to produce successful collections. There are a number of finalists who, despite not winning the grand prize, have proceeded to forge their own successful paths within the industry; proving that a seal of approval of that magnitude can be a much-needed boost. 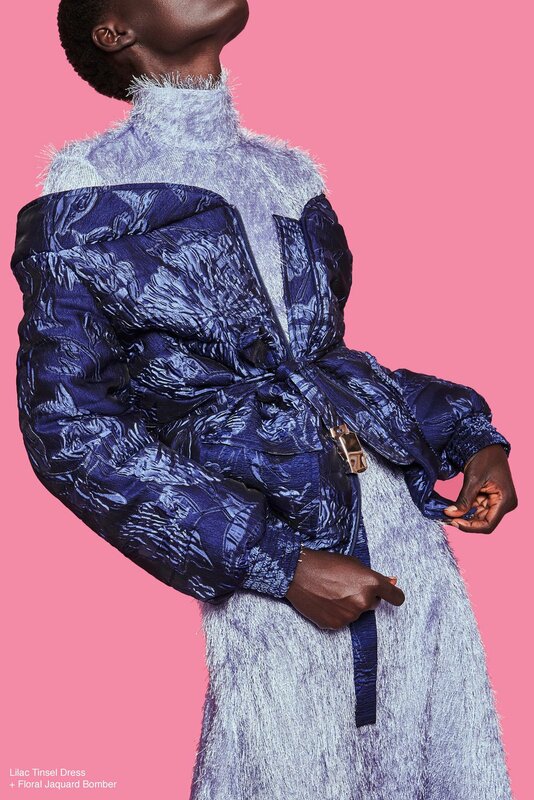 Multidisciplinary artist Samuel Ross who produces enthralling bodies of work that intersect design and art describes his line A-COLD-WALL* as “theorized social commentary in the form of wearable garments, echoes of art history… hues of hardship” was an LVMH Prize finalist in 2018. Virgil Abloh, who needs no introduction, was a finalist in 2015. He continues to blur the lines between luxury and streetwear - steering the trend wheel and vigorously disrupting the industry. For their sixth edition, the LVMH Prize kicked off with twenty semi-finalists this year. Two of those designers hailing from the African continent, namely South African womenswear designer Thebe Magugu and Nigerian menswear designer Kenneth Ize. Ize has gained adoration and garnered praise from illustrious individuals like Naomi Campbell for his colorful and majestic creations using traditional Aso Oke fabrics (hand-loomed cloth woven by the Yoruba people of West Africa). Magugu’s designs dismiss African aesthetic clichés and bridge the gap between culture and contemporary while exploring the many facets of African identity. Magugu was the winning designer at the International Fashion Showcase 2019 in London. The contemporary designer recently launched Faculty Press, a stirring youth-inspired zine that features and elevates creatives who are pioneering the current fashion zeitgeist. It is hard to deny the powerful effect that an endorsement from LVMH could have, especially for an African designer. The opportunity to take up space in rooms filled with fashion’s most esteemed heavy-weights who have the power to evoke international expansion and critical acclaim can be huge. It widens the pathway for future African designers who, prior to its inception, may not even have thought it possible. Still, this pictured outcome is rooted in hope. Our fashion industry requires more functional solutions in order to accelerate our slow-moving fashion market.